Georgia is well-known for peaches and Vidalia onions. Lemons can be successfully grown in Georgia as well provided that the variety selected tolerates the cold temperatures that can occur during the winter months. Growing lemons in Georgia can be difficult due to cold temperatures. Growing citrus in Georgia is challenged by the cold temperatures in the winter. 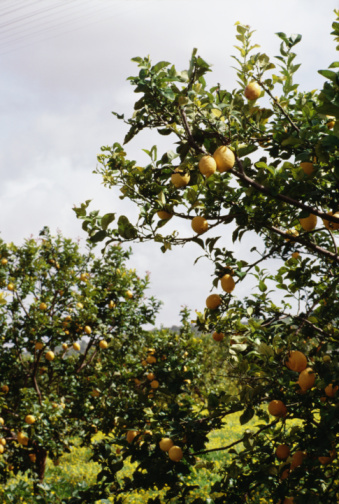 Many varieties of lemons are not cold hardy and may be lost to freezing temperatures. The most successful lemon production is in the southeastern area of Georgia. The northern half of the state is not recommended for growing citrus fruits because temperatures are much lower during the winter months. Meyer lemons are a cold-hardy variety that is successful in lower regions of Georgia. Temperatures as low as 20 degrees Fahrenheit are tolerated without suffering damage or crop loss.